A red-and-white Schwinn bicycle launched his boxing career. He was originally named in honor of a white abolitionist. 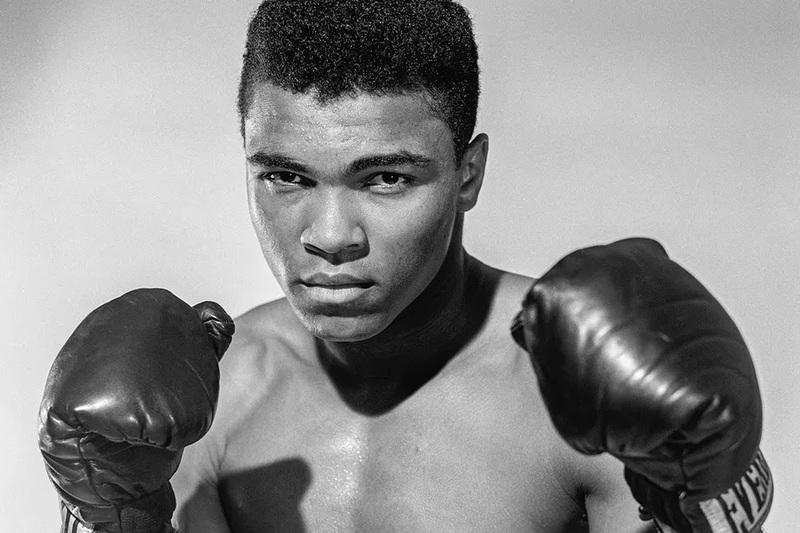 Before becoming known as Muhammad Ali, he changed his name to Cassius X.
Ali was banned from boxing for three years. Ali starred in a Broadway musical. He recorded an album of spoken verse. He fought one of his most famous bouts at 4 a.m.
His Olympic gold medal may be submerged on a river bottom. The gloves he wore to defeat Liston earned him more money than the victory itself.